It’s been 3 years since we published our list of 25 game-changers under the age of 25. Since then, so many Asian Americans we’ve featured have continued doing great work, and there are, of course, new faces making waves. One of the our goals for the 2018 list was to celebrate more Asian Americans who are often underrepresented within our communities, including non-binary individuals and South Asians. While we’ve noticed more Asian Americans on the big and small screen, so many of them are creating their own content and leading the pack in digital media. This year’s list has incredible talent throughout so many fields: badass snowboarder Chloe Kim is dominating the sport and winning fans around the world; YouTuber Liza Koshy is now an internet star; and activists such as genderqueer model Chella Man and women’s health advocate Nadya Okamoto give us hope for the future. Check out the full list for more inspiring Asian Americans, including exclusive interviews, and let us know who we should feature in our next round. Not many actresses can say they made their film debut in a franchise as big as “X-Men,” but Lana Condor gets that honor. She played beloved superheroine Jubilation Lee (otherwise known as Jubilee) in 2016’s “X-Men: Apocalypse.” The actress and dancer, born in Vietnam and raised in the United States, has some big projects coming out this year too: she’s set to star in the science-fiction film “Alita: Battle Angel,” teen drama “To All the Boys I’ve Loved Before,” and the coming-of-age comedy “Summer Night.” Condor is certainly one to watch in 2018. — C.N. 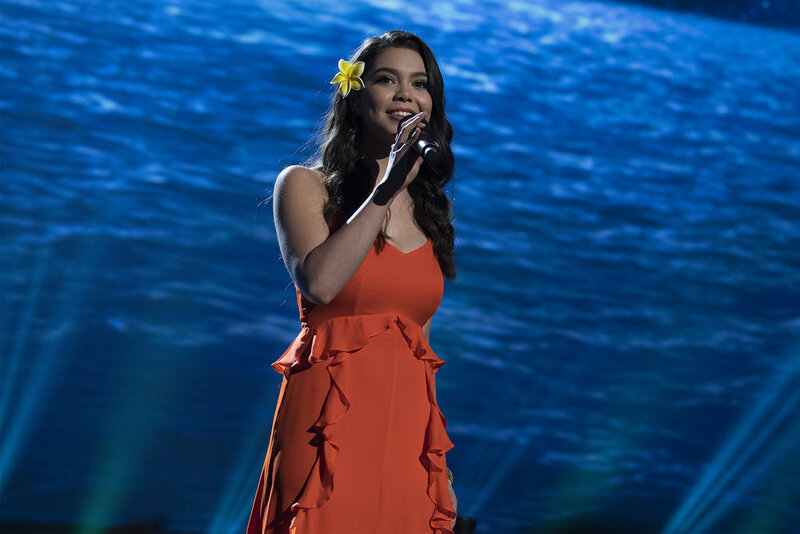 When Auli’i Cravalho made her acting debut voicing the titular character in Disney’s 2016 animated film “Moana,” she became the youngest actress to voice a Disney princess (as well as the studio’s first Polynesian princess). Following the success of “Moana,” Cravalho, who is of native Hawaiian, Puerto Rican, Portuguese, Chinese and Irish descent, made her screen debut this year on NBC’s musical drama series “Rise”, and will reprise her role as Moana in the November sequel to “Wreck-It Ralph.” — T.S. Since we last profiled her, Hailee Steinfeld’s music career has skyrocketed. She’s no longer remembered as “that girl from ‘True Grit’’’ — Steinfeld is a legitimate pop star. Not only that, but her two most famous, platinum-certified singles are unapologetic girl power anthems: “Love Myself,” about self love and “Most Girls,” in which she champions all types of women. Steinfeld, who has Filipino, English, German and Jewish ancestry, has continued to act as well, with buzzy leading roles in films like 2016’s “The Edge of Seventeen” and “Pitch Perfect 3” in 2017. But right now her focus is on music, and she told E! News that she’s gearing up for a 2018 album release. — R.Y. Harvard athlete Schuyler Bailar is the first openly transgender swimmer on an NCAA Division 1 men’s team, and he hopes to be a role model for other transgender athletes. Read our full profile of Bailar here. — E.K. Nathan Chen, a 19-year-old from Salt Lake City, has excelled at athleticism and artistry from a young age. As a 10-year-old at the U.S. Nationals skating to “Peter and the Wolf,” he predicted that he would be competing in the 2018 Olympics, when he would be old enough to qualify for the competition. His dream came true: clad in a Vera Wang costume, he presented mature programs to defend his U.S. National Title and make the Winter Olympic team. Finishing just off the podium in fifth place in Pyeongchang, South Korea, he gave a historic performance with six quadruple jumps, a record in Olympic competition. — M.Y. In February, then-17-year-old Chloe Kim won the gold in halfpipe at the Winter Olympics and became the youngest female snowboarder to nab an Olympic medal. What was she doing shortly before? Tweeting about “getting hangry” after not finishing her breakfast sandwich. Fans all over the world soon fell in love with her unparalleled athleticism and humor under pressure. Before she made Olympic history, Kim, at age 13, was the youngest medalist in X Games history after winning silver. Then, at 15, she was the first woman to land back-to-back 1080s in a halfpipe contest, and she is now the only athlete in all of X Games history to earn three gold medals before turning 16. Kim’s parents immigrated to Southern California from South Korea in the 1980s and her father would drive her six hours each way every weekend to train. On the Today show, Jong Jin Kim called his daughter his “American Dream.” — K.P. Claire Liu had a phenomenal 2017. After winning two International Tennis Federation Pro Circuit tournaments and reaching the French Open junior final, she became the first American female to win the Wimbledon junior girls singles title since 1992. 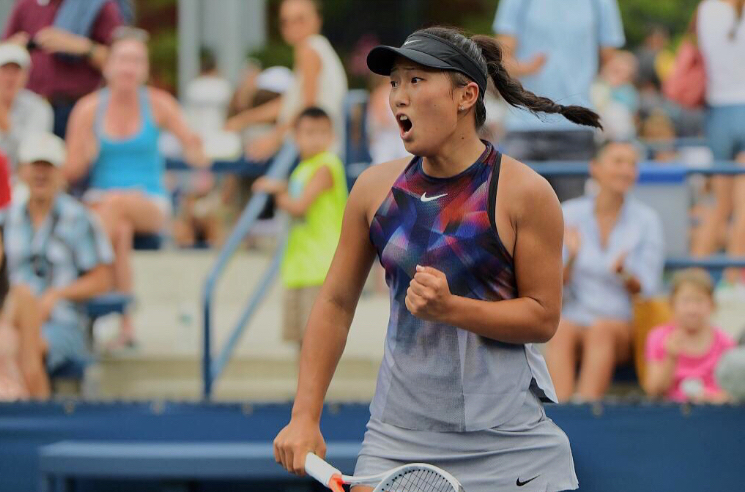 Liu’s path also differs from that of many peers: she never attended a tennis academy, and doesn’t come from a tennis background — her parents, both Chinese immigrants, had never even seen a tennis court until they came to the U.S.
After her success at Wimbledon, Liu chose career over college. “It’s a job but right now I don’t look at it like that,” Liu told the Ventura County Star. “If I win, that will be great, but more importantly, if I can be the best player I can be and have fun doing it, then the sacrifices will be worth it.” Liu’s ultimate goals are to win Grand Slam titles and be No. 1. zeith her recent achievements, she’s well on her way to becoming a bonafide tennis star — while carving her own path, of course. — J.L.S. Just seconds into her ladies long program routine, figure skater Mirai Nagasu became the first American woman to land the triple axel in Olympic competition, and helped the U.S. clinch the bronze in the 2018 Winter Olympics team skate event. Nagasu has accomplished a slew of impressive feats since a young age: she won gold at the U.S. Figure Skating Championships at age 14 and a few years later placed fourth at the 2010 Vancouver Olympics. The 2018 Olympics in Pyeongchang, South Korea, were a sort-of redemption for Nagasu, as she had to vigorously train and earn her spot after being left off the 2014 Winter Olympics roster in Sochi. “It’s not easy to go out there and perform by myself and be put in the spotlight, but it’s something I love,” Nagasu says. Reflecting on wisdom she has gained, Mirai presents sound advice: “To my younger self, I would say, “Don’t give up. Keep believing.” — M.Y. After helping Team USA win the bronze in team skate, Maia Shibutani and her then-26-year-old brother, Alex, became the first ice dancers of Asian descent to medal at the Olympics. Then they kept up their winning streak by nabbing the bronze in ice dancing. 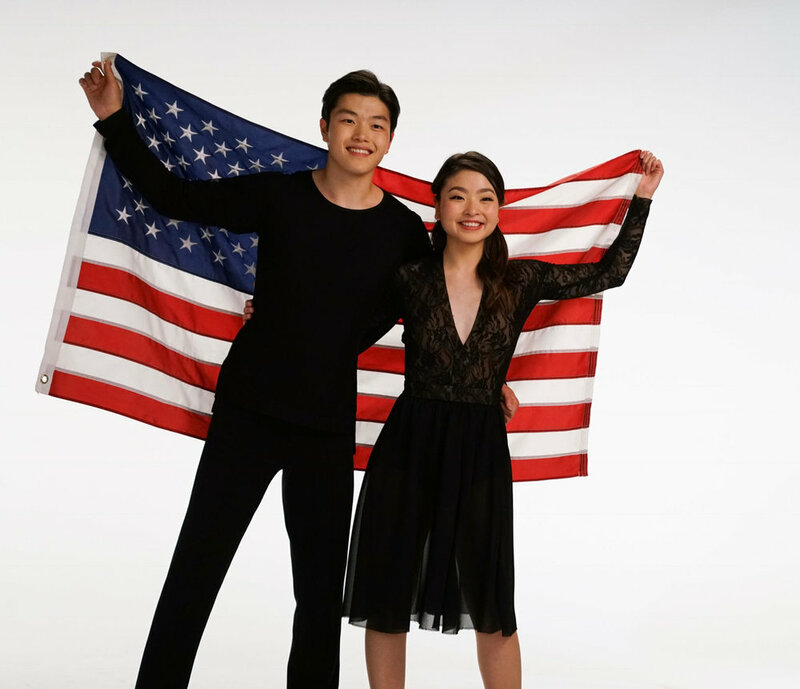 As an Asian American sibling team, Maia hopes they inspire sibling pairs as well as Asian and Asian American teams to try out ice dancing. In addition to their rigorous training schedule, Maia and Alex enjoy being active on social media, posting regularly on their ShibSibs YouTube channel. Maia says sharing vlogs of training, competitions, and travel on video “is rewarding because we have the ability to connect to people around the world.” For her, taking part in the 2018 Pyeongchang Olympics was a dream come true: “There is no other competition like the Olympics and just thinking about the feeling I want to have at the end of our competition helps give me the strength and determination I need to persevere and overcome exhaustion and challenges.” — M.Y. YouTube star Remi Cruz is a lifestyle vlogger whose DIYs and creative projects have landed her more than 2 million subscribers and partnerships with brands such as L’Oreal. She’s also known for documenting and sharing with her fans the ups and downs of losing weight while focusing on remaining healthy. In her blogs, she talks about the difficulties of staying healthy as well as the positive effects her weight loss has had on her well-being and overall confidence. In her videos, Cruz has discussed building confidence, and she encourages her fans to love themselves, regardless of body shamers. By using her platform to talk about weight and fat shaming — topics not often discussed in Asian communities — Cruz has made a positive impact on young girls’ perception of body image. — K.T. Rachel Fong bakes all things kawaii (Japanese for “cute”) for her one million plus YouTube subscribers. “I’ve got a massive sweet tooth and mom likes to bake, so getting in the kitchen was almost inevitable for me,” she tells Mochi. Known for her creative baking techniques and quirky designs, like her Totoro tarts and Japanese-style bear pancakes, she was drawn to the kawaii aesthetic after a trip to San Francisco’s Japantown when she was 14. In addition to baking, Fong also serves as the first ambassador for #BakeAChange, a nonprofit that funds scholarships for girls in low-income countries who will be the first in their families to graduate high school. — C.N. It took a lot of soul searching for Broti Gupta to follow her comedic passions, instead of pursuing medicine like she thought she should. Click here for our interview with Gupta, who is a writer for the New Yorker and Netflix’s “Friends from College,” to learn more about how she landed on her path and the role of social media in her life. — R.Y. 15 years old as a beauty vlogger, uploading her first makeup tutorial in 2007. Besides makeup and beauty, she’s known for relatable and personal content featuring relationship updates and advice geared toward young women like her (her most popular video, with almost 10 million views, is about how to put on a tampon!). Some of her most watched videos recently have explored her cultural background, such as one where she speaks Chinese and a video where she discusses her struggles growing up Chinese American, including being made fun of for her facial features and having trouble understanding English as a kid “because the only way she could express [herself was] in Chinese.” — C.N. Liza Koshy has the Midas touch — whatever project she pursues seems to turn to gold. The comedian and social media influencer, famous for her fast-talking and upbeat demeanor, blew up on the Vine app. Then in 2017 she became the fastest YouTube personality to reach 10 million subscribers (she’s now at 14 million). That same year, the Twitter live pre-show she co-hosted for the Golden Globes received a record number of viewers for the platform. And when she collaborates with brands such as Beats Electronics and Vogue, Koshy draws more viewers than many celebrities from traditional media. Her success and online dominance is a reminder that the digital space is here to stay and that TV or film fame doesn’t have to be the end goal (although as the co-host for MTV’s “TRL” reboot, she’s done pretty well there, too). It’s safe to say the half-Indian, self-described “little brown girl with big dreams” is one of the most recognizable South Asian faces in entertainment. We would say she’s one to watch, but you’re probably already watching her newest video as we speak. — R.Y. You might not expect an acoustic cover of Nicki Minaj’s “Super Bass” to go viral, but that’s exactly what happened to Nix. The YouTube singer’s take on the rap/pop hit has garnered nearly 10 million views since it was posted in 2012. She has also put out ukulele covers of songs from diverse genres, such as a Wiz Khalifa track, and more recently, the Chinese classic “The Moon Represents My Heart.” Talking to NBC News for Asian Pacific American Heritage Month, the Malaysia native says when she first moved back to New York City as a teen, she barely spoke English and lived in a tiny apartment with her aunt. To cope with a lack of personal space and language proficiency, Nix turned to music as an escape. In college, she felt like an outsider among a campus of white and upper-middle-class students, and now she says she is lucky to travel around the country and perform for AAPI and Asian students. “I love seeing someone like me/my younger self, a Southeast Asian woman, in my audience,” Nix said to NBC News. “In sharing my story through my music, [these students] give me a glimpse of theirs in return. It’s a really magical feeling when someone tells you you’re the reason they started playing the ukulele. All these things keep me motivated.” — R.Y. We’ve all heard the sage advice to “just be yourself,” but perhaps no one has been the biggest champion of that adage than 19-year-old social media sensation Bretman Rock, whose big persona and comedy chops, coupled with makeup skills that rival any professional makeup artist’s, have earned him more than 9 million Instagram followers and 3 million YouTube subscribers. In addition to hosting the 2017 Miss Universe red carpet, Rock has also participated in anti-bullying initiatives, including the #KissAndMakeup campaign hosted by Tarte Cosmetics and Bystander Revolution. Warning: His glowing self-confidence is contagious — as his Instagram bio literally says, “I love myself too much to care.” — T.S. Half Korean and half African American, Wolftyla initially gained fame as a Vine comedian, and now has 1.5 million Instagram followers. Since then, the Queens, New York, native has transitioned into singing and songwriting, with her 2017 song “Impressed” racking up more than 1.5 million plays on Soundcloud. Wolftyla’s sound has been compared to R&B songstresses like Kehlani and Jhene Aiko, and she has worked with R&B and hip-hop artists like Tory Lanez, Party Next Door, and Elle Varner. In addition to singing, Wolftyla is the founder of the #WolfMovement, a social movement that promotes positivity, love and self-confidence. — C.N. After meeting at a hackathon, these three high schoolers from Bergen County, New Jersey, became fast friends due to their shared dream of improving the world through technology. They soon joined forces to create Revive, a virtual reality application meant to bring a simple and quantitative test-based approach to diagnosing attention-deficit hyperactivity disorder. They hope that using Revive will not only bring patients to treatment faster, but also decrease the cost of the diagnostic process. 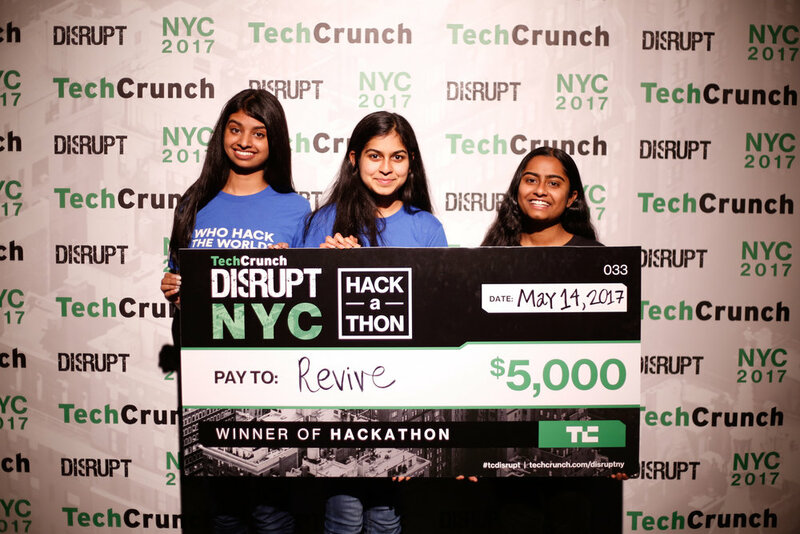 If Revive is any indication, Patapati, Balakrishnan and Dinesh will create even better tools in the future, as part of the next wave of innovators using technology to help others. — C.Z. The youngest in Mochi’s roundup, middle schooler Gitanjali Rao is a rising star in the science and technology field. After reading one news story after another about the Flint water crisis, Rao, who is Indian American, sought to help communities affected by the lack of safe water. Eventually her dedication and research lead to her invention of an easy-to-use and inexpensive device that detects lead in drinking water, for which she received national attention. 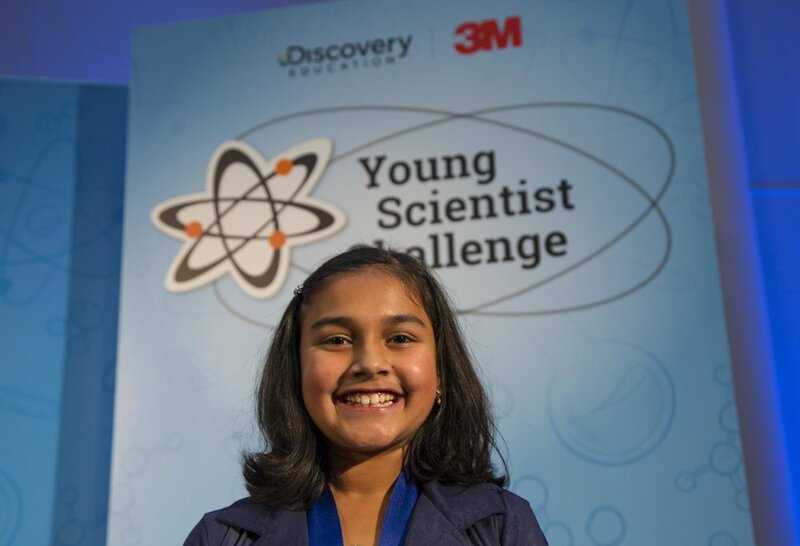 After being awarded $25,000 as winner of the Discovery Education EM Young Scientist Challenge, she continues to work to perfect her device with the guidance of scientist-mentors and her own curiosity. “Science allows me to look at different paths in order to solve real-world problems, which is one of my passions,” she told NBC News. Rao proves that no matter how young, it is never too early to get down to work and make a difference. — C.Z. Carl Jiang is a leading educator whose connection to youth-oriented advocacy stems from a place of personal relevance. As a 15-year-old who entered the foster care system after overcoming abandonment, poverty and food insecurity, Jiang experienced firsthand the immense benefits of education and mentorship, in addition to the inequalities surrounding access to education itself. Jiang has since dedicated his time to helping students develop a voice in issues that currently affect them, encouraging students of color to share their personal experiences and stories. His long list of achievements include teaching at Mike O’Callaghan Middle School, implementing restorative justice practices as a New York City Mayor’s Fellow, and acting as a Peacemaker at the Red Hook Community Justice Center. 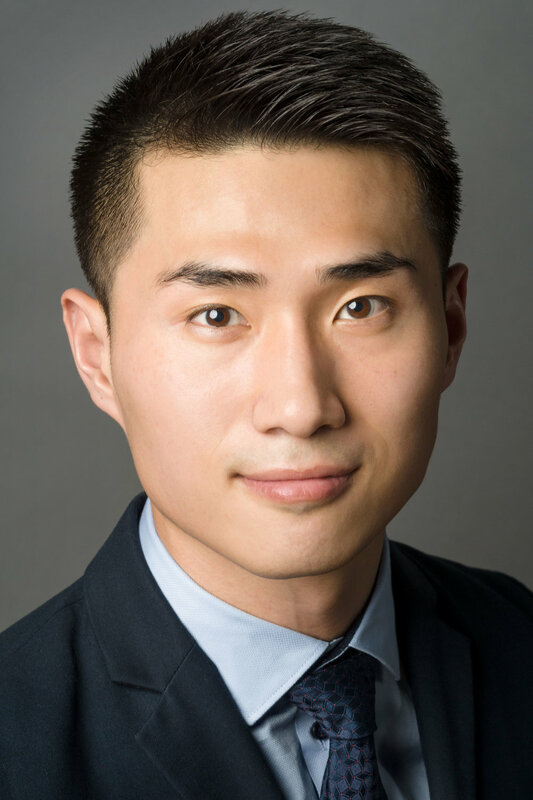 Now 25, Jiang is in his first year at Yale Law School. — E.K. As a deaf and genderqueer student at Parsons School of Design, 19-year-old Chella Man has experienced his fair share of obstacles. However, he still maintains an optimistic mindset and promotes the ideas of diversity and self love. Man, who is half-Chinese, was the first non-binary individual to model for New York Fashion Week: Men’s this year. Studying design technology with a concentration in virtual reality, Man has hopes to one day show others how people with gender dysphoria may feel and see the world. “I’m trying to be as transparent as possible and put all of my journey out there just so kids, younger than me, or even older than me, who want to transition, have someone to look at and relate to, because that’s something that I didn’t have myself,” Man said to Mic. — L.C. Seeing a lack of Asian Americans in the podcasting world, Jessica Nguyen started “Project Voice” as a platform to talk about issues like being queer and Asian or mixed-race narratives. Read our full feature on Nguyen here, where she discusses using technology in activism and much more. — R.Y. Activist Nadya Okamoto is 19 is the brains behind Period, an organization that helps homeless and underprivileged women gain access to menstrual health products. Read our full profile to learn more about Okamoto’s work — E.K. A native New Yorker, Karuna Riazi, 25, has had a way with words since she was young. Seeing a lack of representation of Muslim characters across the young adult genre, she sought to use her talent to write characters like her in stories. Riazi’s novel “The Gauntlet,” published last March, features one of the first Muslim protagonists in the young adult genre. Riazi is also one of the first authors of the Muslim children’s book imprint Salaam Reads, and in 2014, she formed the #YesAllWomen social media campaign, continuing her work as an online diversity advocate, blogger and publishing star. — C.Z.